Kate Atherley Knits. A Lot. Mainly Socks. If you're looking to get in touch with me, you can contact me at kate dot atherley at gmail dot com. My instagram page is here. A few things on the calendar for the fall already! September 14-17: Make Wear Love fall retreat in Sebasco, Maine. I’ll be teaching a garment-specific finishing techniques class. October 13-15: The Signature Needle Arts 10th anniversary retreat, in Fortana, WI. I’ll be teaching Brioche, my Soxpertise class, and a Garment Sizing and Fit session. 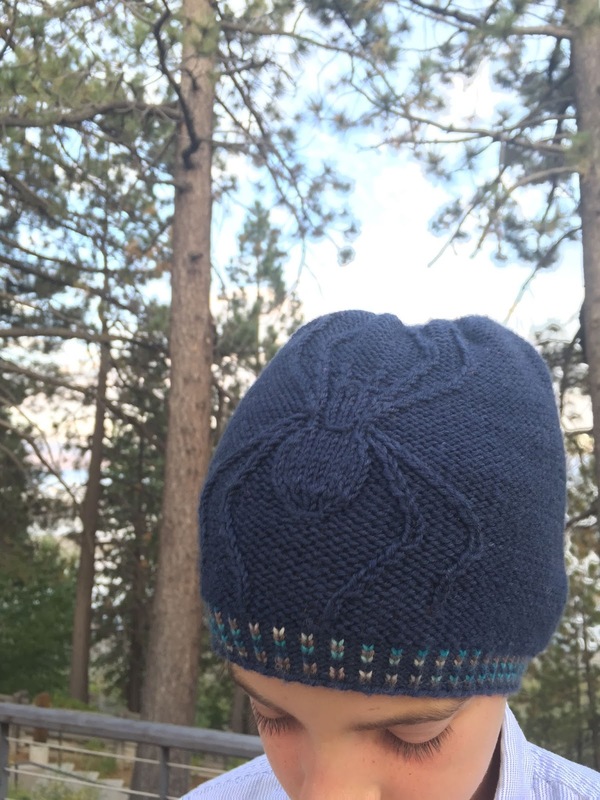 November 10-13: Laura Nelkin’s Knit Ithaca retreat, Ithaca, NY. This one is sold out, sorry! November 17-19: The Shall We Knit 10th anniversary retreat, Goderich, Ontario; this one’s all about mittens and gloves, to go with the launch of my latest book, ”Knit Mitts”, coming out this October. What's that, you ask? A new book! Yes, this one's all about mittens and gloves. It releases in October: stay tuned for more info. A new new new design: Omnishambles Brioche Scarf. An ideal second brioche project, it provides a gentle introduction to increasing and decreasing. The pattern uses a single 50gm ball of Noro Kureyon - or Silk Garden, of course - and 100yds or so of a contrasting solid worsted weight. 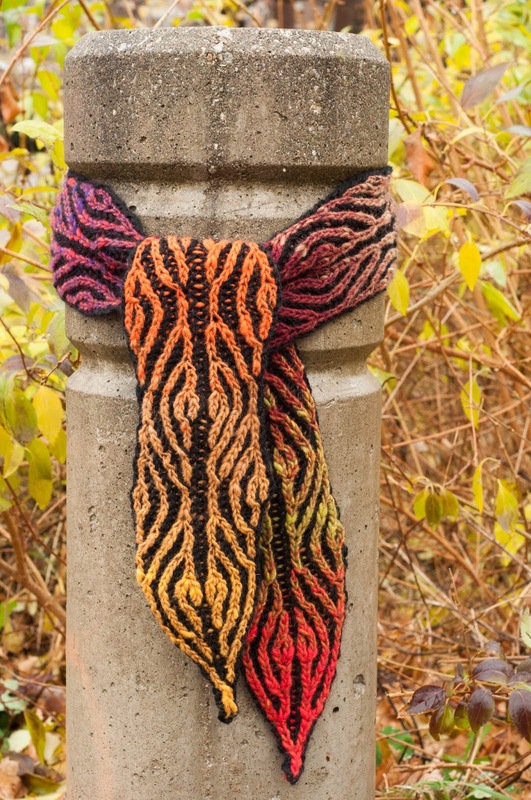 This would look equally good, too, in two solid shades if you're not a Noro-lover. Finished scarf is pleasingly long and skinny: about 5 inches by 64 or so. Instructions are fully detailed, if you need a brioche refresher, or are trying a new thing! A less new design is the Dunrossness colourwork hat. This was launched last year as a kit, and now it's available as a standalone pattern. This is a classic me sort of pattern: it comes in multiple sizes, covering kids to adults and the design and pattern were designed specifically to be very user-friendly, suitable even for your first colourwork project. Plus, who doesn't love a giant pom-pom? And the new class: Introduction to Technical Editing. 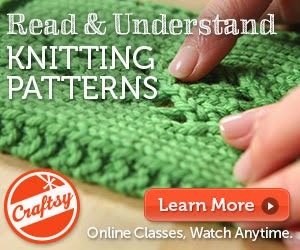 I'm launching this class at Shall We Knit in the spring - Friday, May 12th. Interested in what a technical editor does? Looking for ways to become a better pattern writer and teacher? The technical editor is a vital part of the pattern publication process, helping designers turn their notes and outlines into patterns ready for publication. 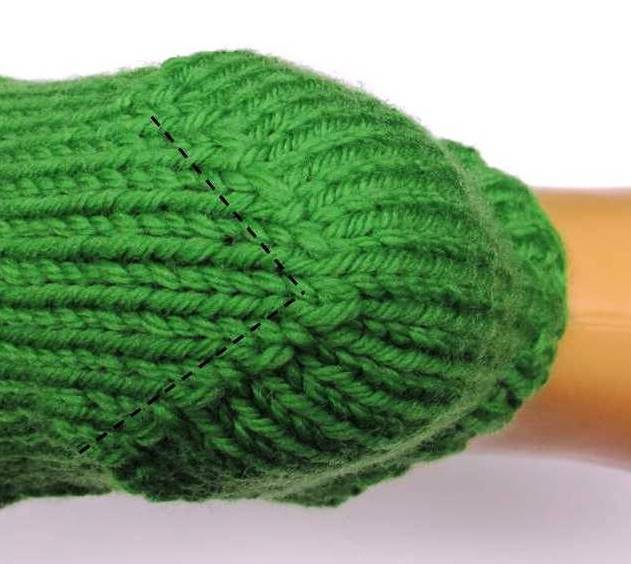 Training in technical editing also enhances your understanding of how patterns work and how to read and write them – hugely valuable skills for knitting teachers and designers. This introductory-level session gets you started down the path. We’ll explain the role of the technical editor in the pattern development and publication process. We’ll dive deep into the different types of reviews required: language, numbers and usability. And we’ll explain the value of the pattern style sheet: what it includes, how to establish one, and how to edit a pattern to meet specific requirements.We’ll also talk about concrete ways to start your business and gain experience as an editor. Bring: paper and pencil, calculator or app, any patterns they wish to discuss. Classes sold, out, sorry, but I will be doing a book signing or two at the Purlescence booth. 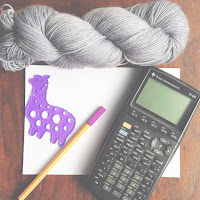 Next Thursday, May 19th, I'm doing the first of a two-part webseminar series on my favourite topic: Math for Knitters. 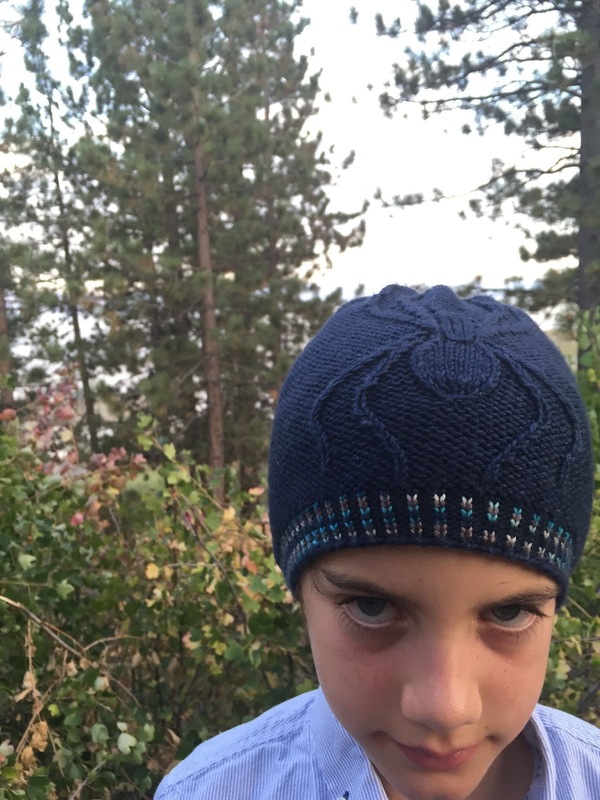 This first one is all about project and pattern math: yarn substitutions, checking gauges, and tricky instructions in patterns like "increase evenly across" and "reversing shapings". The second part is about garment alterations and adjustments - including what to do if you can't match gauge - and runs June 9th at 1pm. Both webseminars are recorded, and if you can't attend live, you can watch/listen to the recorded version, at your leisure. For more info and to register visit this webpage. It's $19.99 to attend live or on-demand, and if you enter the discount code MATH4KNITTERS you'll get a discount on the registration! I loved the yarn so much that I agreed to design three pairs for the Feel Good sock club. Without spoilers, there are three summery designs - one quite ladylike, a pair of sneaker socks, and something a bit more fancy (but not fussy). The yarn colours are terrific, too. April 9 & 10 I'm in Austin Texas, teaching a weekend's worth of classes for the guild there. I'm very excited about this, not least of which because I've heard such wonderful things about Austin. The organizers have let me know that they have some spaces left for non-members. The cost of the weekend is a very wallet-friendly $100 - it's generously subsidized by the guild. There are two full days of classes, 9am to 4pm, and the fee includes lunches and drinks and snacks. Yes! I know! Class will be held in the classroom at Me & Ewe, 4903 Woodrow Ave. Even if you're only interested in one day's classes rather than both, I'd love to see you, and I'm sure the Guild would love to meet and host you. For more info, please contact the Guild, or drop me a note through my website and I'll put you in touch. In addition to regular slots at Yarns Untangled and The Purple Purl, these are my out of town gigs in the next little while. Weekend of Feb 20 & 21st: A Yarn Story, Bath, U.K.
Friday March 4, Saturday March 5th: Purlesence, Newbury, Oxford, U.K. The weekend of February 20 and 21st, I'm back at the lovely A Yarn Story in Bath, to visit Carmen and friends. I'm teaching Custom Fit Socks, Math for Knitters Part 2 (alterations and adjustments) and Pattern Writing. More details, and registration here! Although thinking of convening a impromptu knit-night at The Bell Inn, which has been recognized by CAMRA as one of the 2014 pubs of the year. Real ales, real yarn, real friends. What's not to love? 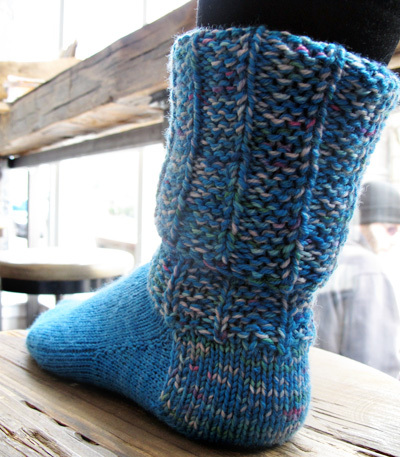 New sock pattern in the Winter Knitty: Sidekick boot socks. I don’t know about you, but I’ve got a lot of sock yarn. And as you may not, I have rather a weakness for ridiculous variegated yarns. This design helps me with that particular “issue”, in that a double-stranded heel and leg use up some of that sock yarn! (In addition, the double-stranded heel wears better.) And the double-stranding of a sensible yarn with a ridiculous yarn tames the colour changes down, and makes the whole thing nicely marled and interesting. 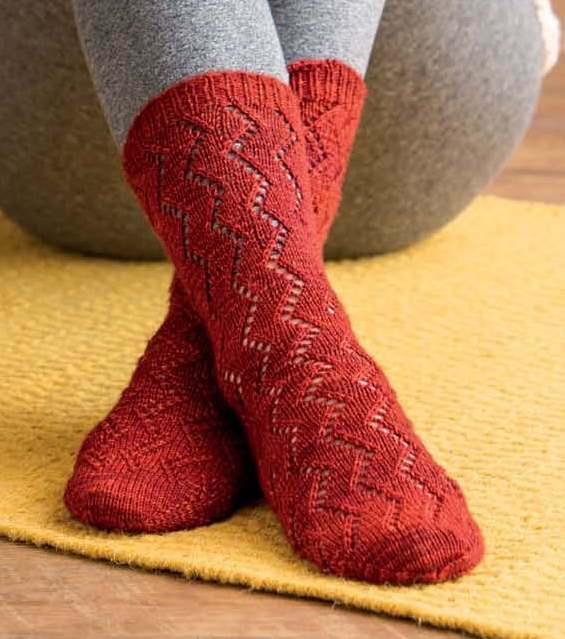 The good news about this design, too, is that the socks go faster than conventional socks, with a smaller stitch count and a larger gauge on the leg. Full credit for the double-stranded heel and leg idea goes to friend-of-the-show Lynne Sosnowski, who helped me out of a sticky design dilemma with her brilliant simple and simply brilliant suggestion. Naturally, they come in multiple sizes, and the pattern is written to be worked on your choice of DPNs, magic loop or two circulars. And the lovely people of SpaceCadet are running a KAL in their Ravelry group, starting on Boxing Day. More details here! 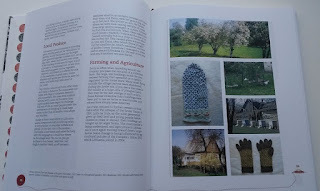 As I wrote in May, I worked with Donna Druchunas and her writing pattern June Hall, on their book "Lithuanian Knitting". My copy arrived this week. Although I'd seen the book in digital form, I was bowled over by the printed copy... 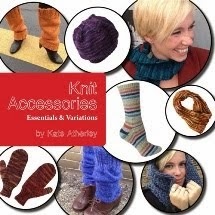 It's not just a book of knitting patterns - although the patterns and projects for socks and mittens and gloves and wristwarmers are all gorgeous. The book weaves together (pun very much intended) the history of a country and personal histories of its two authors and and an exploration of a fascinating set of regional knitting techniques. Need a gift for an armchair-traveller? This is it. and the little sketches at the foot of the pages. 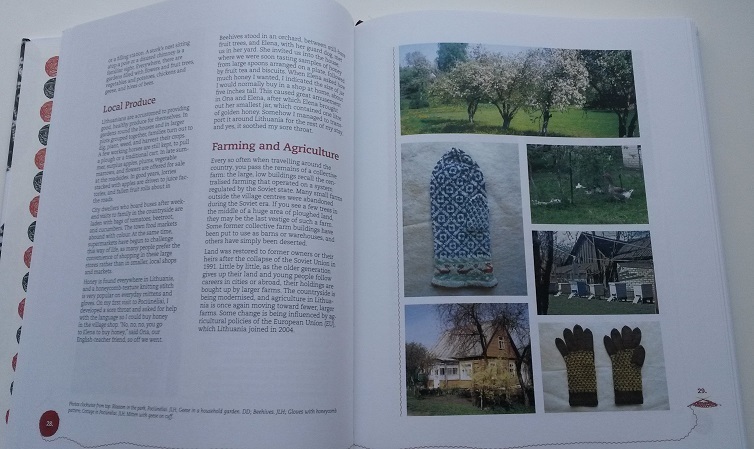 There's lots of gorgeous photography of Donna and June's travels around Lithuania, and knitting projects old and new. Learn more about the book (and order your own copy) here. UPDATE: Kit available for purchase! 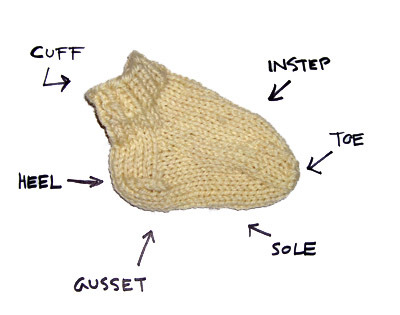 I've been working on a book of mitten designs, and part of that process is spending hours combing through stitch dictionaries looking for inspiration and design ideas. In one of my favourite colourwork books, I kept coming back to this terrifically elegant and classic Shetland pattern. I knew it wasn't going to work for the mitten I had in mind, but I loved it so. When a package of grey and white yarn arrived at my front door, it seemed like divine intervention: a two classic colours, one skein of each... just enough for a hat, and two lovely contrasting colours. And here is the hat that resulted: Dunrossness. Named for a town in Shetland, it's classic in every way, right down to the pompom on top. Why mess with the perfection of a colourwork hat with a generous pom-pom on top? A kit is available for purchase here, and you can enter here to win a free kit. Contest closes midnight tonight, November 16th, and is open to everyone - if you're a Craftsy member already, use your login credentials. If you're not a member, you can still enter (just don't forget to uncheck the box if you don't want to be added to the mailing list). 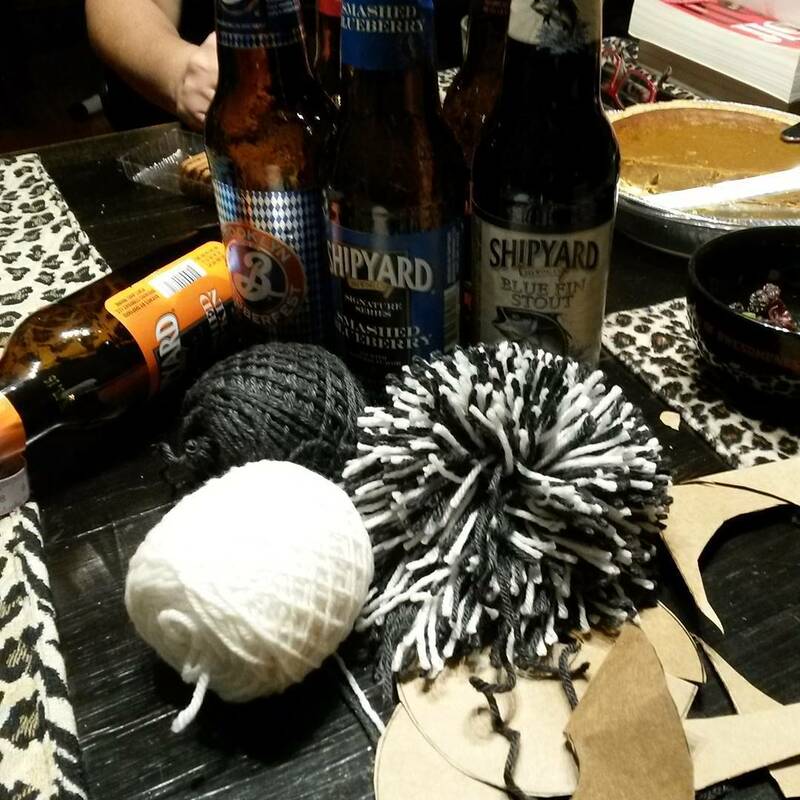 (Although, a word to the wise: late-night pom-pom making is not something I'd recommend. Ask me how I know. I gave a presentation at the Toronto Knitter's Guild last night, and I talked about (amongst other things!) sock heel. A woman came to me after the presentation and asked me why I didn't do a "normal" sock heel. I laughed a little - I knew what she meant. There are lots of heel turns, some newer and some traditional. The heel turn I use is known variously as a German, Dutch, band or square heel. 'Band' or 'square' are good names for it, as it creates a square under your heel. The thing is, it's not the most common - perhaps not the "normal" one this knitter was used to seeing. I choose this one for two reasons: it's easy to work, AND it's easy to resize. It's easy to work, in that you're always working the same number of stitches back and forth in the middle, and always placing the decrease in the same place each time. I find that helps me keep track of where I am, and reduces the need to count. These both fit nicely, too. And these turns are utterly interchangeable. I like mine for the two reasons that I mentioned above, but if you prefer another, you can certainly use that in my patterns. And indeed, that's what I said to this knitter: if you like a particular heel turn, then it's easily substituted. That's one of the great things about sock knitting: you can combine elements from other patterns. And hey, if you like my favourite heel, you can use that in other patterns, too. I've found that they have slightly different shapes. With you saying that they're utterly interchangeable, I assume it's just placebo effect that makes us think that one fits better than the other? Yup, they are different shapes, as per the pictures above. And yup, they do fit a little differently, it's true. But the fit difference - for most people, for most feet - isn't all that noticeable. When I said "interchangeable", I meant that in the patterns you could chose to work one in place of the other, with no larger effect on the pattern. The point is that you can find one you like best - in terms of working and wearing and fit - and use that. If you’re a sock knitter, you like to buy sock yarn. But sometimes the “sock” yarn isn’t right for socks: sometimes the yardage is too short, sometimes the colours don’t work out, sometimes it’s just too pretty (or too much fun) to hide. 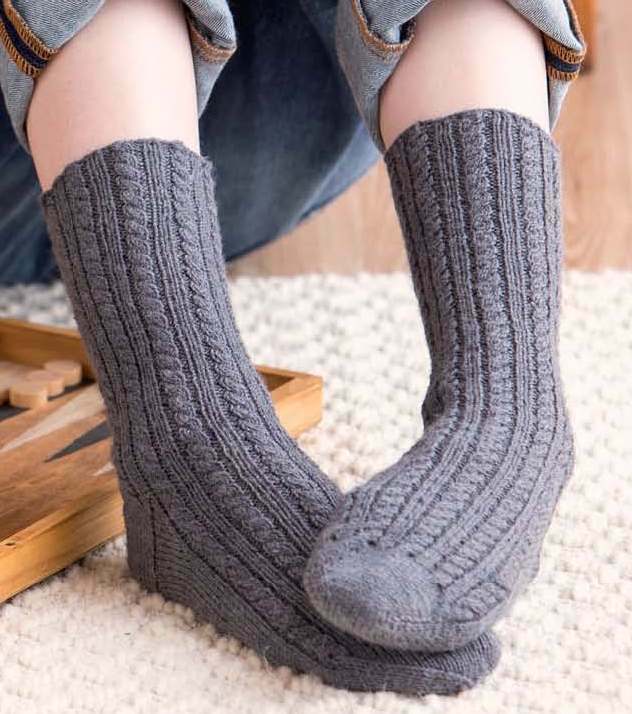 I offer a solution: three not-too-challenging garter-based wrap patterns, designed specifically for showing off socks yarns that might be better used elsewhere. These aren’t delicate precious lace pieces, they’re intended to be worn casually, every day. Somewhere Wrap: Instead of mis-matched socks, show off the entire colour progression in a full skein of gradient yarn in this sideways shawl. Simple lace and easy short rows, explained thoroughly – suitable even for beginner lace knitters. There There Shawl: Why waste those colours you fell in love with on the insides of your shoes? Tame that wild variegation in a triangle shawl with a little-known garter stitch variation and enjoy all that colour as a frame for your face, or a way to brighten up your dark winter coat. Nowhere Cowl: Yardage too short for adult socks (Noro Silk Garden Sock I'm looking at you) is perfect for cosy and stylish neckwear. The lace pattern is easy to work and memorize, and the pretty results can be worn as a traditional scarf or seamed into a cowl. The collection of three patterns is available for $7.50 on Ravelry, (and soon on Patternfish and Craftsy). 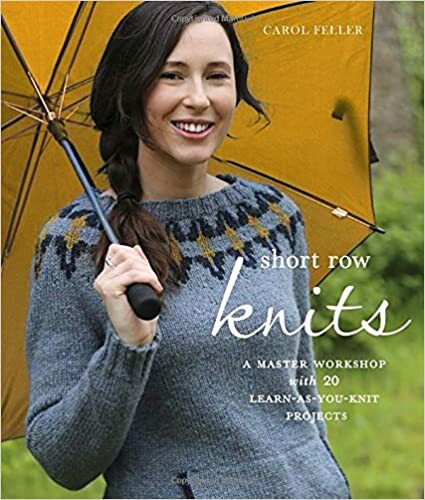 I was very happy to get my hands on a copy of Carol Feller's new book, Short Row Knits. It's a great combination of technique and pattern book. If you're looking for a guide to short rows, how to work them, and what to do with them, look no further. If you're looking for a nice combination of accessories and garments that are shaped in interesting and intelligent ways, this is an excellent choice. I think they're also extra confusing because the purpose of the short-rows (and how they work to do what they do) isn't addressed or explained. Carol's instructions are clear, precise, easy to follow - and entirely straightforward. She cuts through a lot of of the clutter and confusion, explaining not only how to work short rows, but why, and how they work. She explains the theory and the practice, in a way that is entirely accessible. She explains the different methods, and how to work them, how they work, and how to change between them in a project. She addresses using short rows to create interesting shawl shapes, and to add bust and ship and hem shaping to garments. techniques for purely academic purposes! ;-) - she includes a variety of projects that use the techniques, for different effects. There's shaped shawls and a sideways hat and flattering garments worked in different ways, all with smart shaping. I'm particularly fond of the Riyito sweater, pictured at right. A lovely shaped hem and a really nice shoulder line. Enlarge the picture by clicking on it, to see the details. 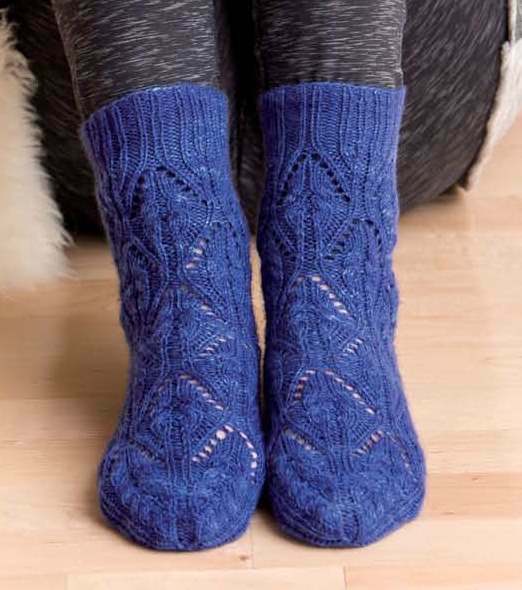 She also includes two sock patterns, using a a short-row heel. 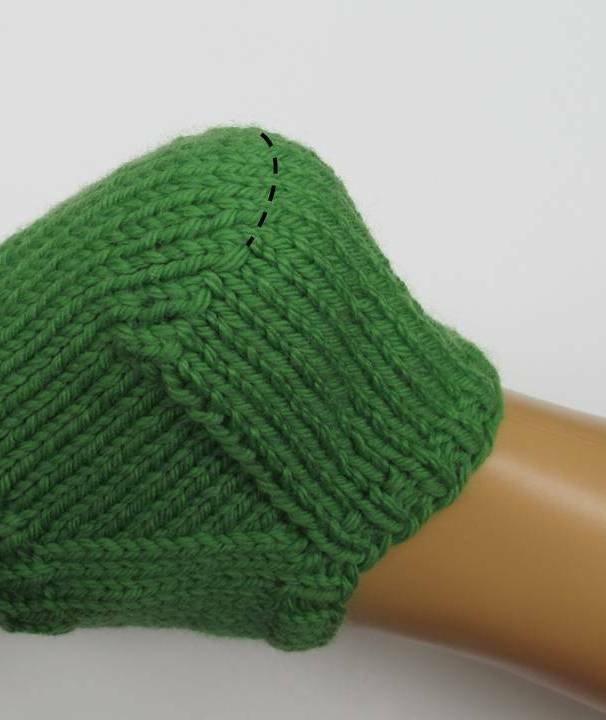 Now, I'm not normally a fan of this method because in their standard form they lack a gusset and don't fit very well, but Carol understands fit, and has created two very nice gusset options for better fit. Carol's book is an excellent addition to the technically minded knitter's library - and to the library of any knitter who enjoys a nice collection of patterns. Find it at your favourite LYS, or order it from one of the usual online sources. The funny thing about this hat is that I really am NOT a fan of spiders. There was one on the bathroom floor the other morning and it very nearly put me off having my shower. I often have to get Norman to deal with the spiders. It was one of my earlier pattern efforts, so the pattern itself wasn't great, the photos were awful, and I never properly launched it. After a few nudges from persistent knitters, I thought it was time to relaunch. I updated the chart so it was a bit easier to read, I improved the fit and the decrease, and with the help of some excellent people, got much better photos. And taking my own advice - with the help of my Twitter friends - I've given it a better name... "Genus Araneus". The two-colour cuff is a nice touch, but entirely optional. Uses less than 200 yds of a DK weight, with a few yards of a CC if you want. Suitable for knitters with experience working in the round, and working cables from charts. The chart is a little bit challenging, but not terrifying. $5USD download, available from Ravelry, Patternfish, LoveKnitting and Craftsy. Thanks much to E. and R. and a certain handsome young man for help with the photos. UPDATE: We've shifted the start date to accommodate my travel and some other administrative things. Will now be starting October 14th. 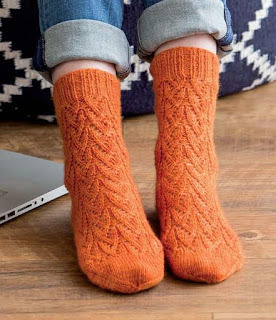 If you haven't knit socks before, or are a newer sock knitter looking to build your skills, you might be interested in my upcoming online Sock Knitting for Beginners class, coming in the second week of September. The class is a sort of modern correspondence course, run using Interweave's Craft University platform. It is a slightly different animal than many online classes. It's not a video class, it's not a lecture class - it's like an old-school distance learning class. There are lessons in the form of text, video and pictures, of course. 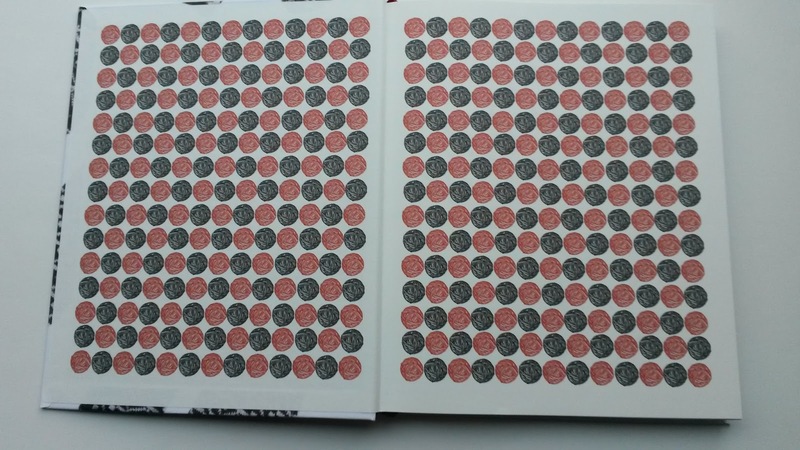 And there are patterns and handouts and lots of reference material included. The platform's main feature focuses around discussion forums. And the class is all about that: discussions for learning. It's the next best thing to an in-person class. Through the discussion forums you can ask me lots of questions, and I can provide detailed real-time answers. When we've run this before, it's been an excellent way for me to give real-time feedback on your questions: students can ask text questions, but also upload pictures of their work, and I can provide detailed answers - in text, in pictures, in video format. You can get more info and sign up here. If I may be so bold, students get the most out of the class if they work along with the material, and engage in the discussions. If you're just looking for a tutorial or lesson you can read through at your own pace, I can recommend a book.... :-) When we've run this class before, I've had feedback that it's been particularly helpful for students who have perhaps tried socks and have had technical issues, or are uncertain about whether their skills are up to scratch, or are just looking for help problem-solving, and a bit of hand-holding. If that's you, this class is for you! It starts October 14th September 8th, and runs for a month. Custom Socks: And it's out! Thursday August 13th was the official release date for my Custom Socks book. The response has been terrific already - I'm grateful for enthusiastic reviews on Amazon, and on external websites. I love Rohn Strong's perspective, as a crochet designer. Felicia of Sweet Georgia has lovely things to say. And the Knitmore Girls confess to being a little worried about the math, but generally are into it. In one of those lovely coincidences, yesterday I also received a Ravelry message about my Socks 101 article on Knitty. Published ten years ago, in the Spring 2005 issue, this is what kicked this whole thing off for me. Although a little cruder - and with my trademark truly awful photography - the message is the same: sock knitting is fun, and socks should fit well. Even then, I was using the same basic recipe, although I was firmly on the side of Top Down at the time. My perspective is a little broader these days: I go both ways, and I'm absolutely over my fear of stranded colourwork (I didn't mention that, did I?). Thanks to everyone for supporting me, and buying the book! 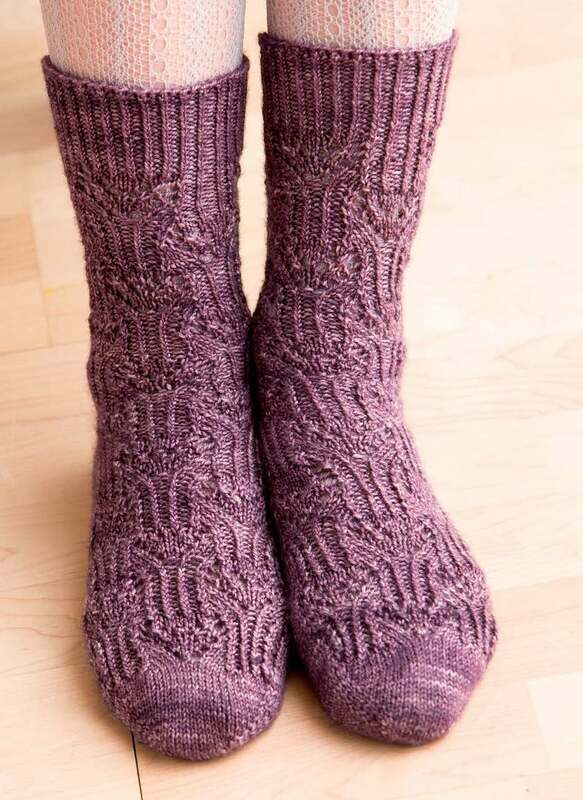 If I can dispell one knitter's fears about sock knitting, if I can make one knitter more confident about sock knitting, if I can make one pair of feet happier in their handknit socks, I figure I've achieved my goal. By the way, I've started a Ravelry group. Come and join me! It will be a good place to ask questions, chat with me, learn more about what I'm up to. I thinking of doing a KAL for one of the book socks: what do you think? So much sock stuff going on at the moment... it's all very exciting. If you're in Ontario, there are two launch events coming up you might be interested in: the evening of Thursday August 20th at The Purple Purl, we've having a bit of a party and class. And then Saturday August 22nd we're having a whole day of classes, activities and shenanigans, with special guests including the madpeople of Indigodragonfly. The Shall We Knit team is VERY good at Shenanigans. If you're not in Ontario, don't feel left out! Wednesday August 19th, 1pm Eastern Time, I'm doing a webseminar on the topic of Custom Fit Socks. A nice adjunct to the book, I'll be talking through my custom-fit sock pattern formulas, and easy ways to customize them for particular fit needs. As with my other webseminars, you can listen live or wait and listen to the recording at your leisure. The great thing about attending live is that there's always time for a Q&A at the end. If you've got questions about the book, or about my sock formulas, this is a good opportunity to chat with me. Fall KnitScene: Featuring me. Twice. I know, I know: this probably reads like humble-bragging, but I promise it's not. It's amazement and gratitude and maybe a teeny-tiny bit of what feels like unseemly pride. And so my copy of the Fall 2015 Knitscene arrived, and I did what I always did: eagerly flipped through it, for ideas and inspiration and to learn about new designers and new products and oogle the eye candy. And oh yeah, and then bam: there's my name. TWICE. As is always the case when you write a book - well, particularly when wordy-ol'-me writes a book, you write too much, and stuff needs to be cut. 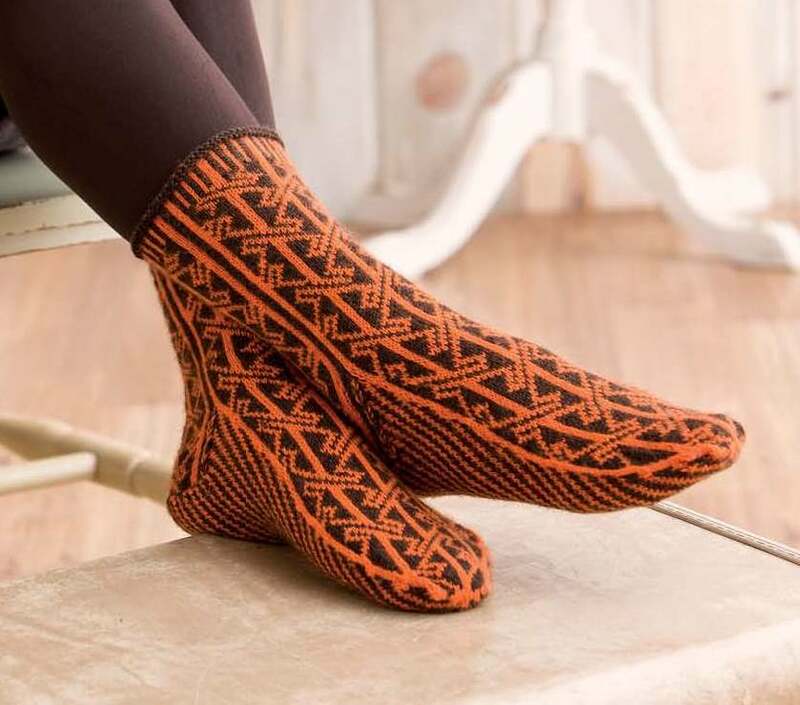 In this case, we had to cut two designs - the Prewitt slipped-stitch colourwork sock, and another one about which more news later. I was a little sad to see these designs go, as I'd worked hard on them, and was proud of both of them. But the lovely Amy Palmer came to my rescue: she likes a good sock design, and was happy to take one of the orphans on and publish it in her magazine, KnitScene. The no-longer orphaned Prewitt Sock. 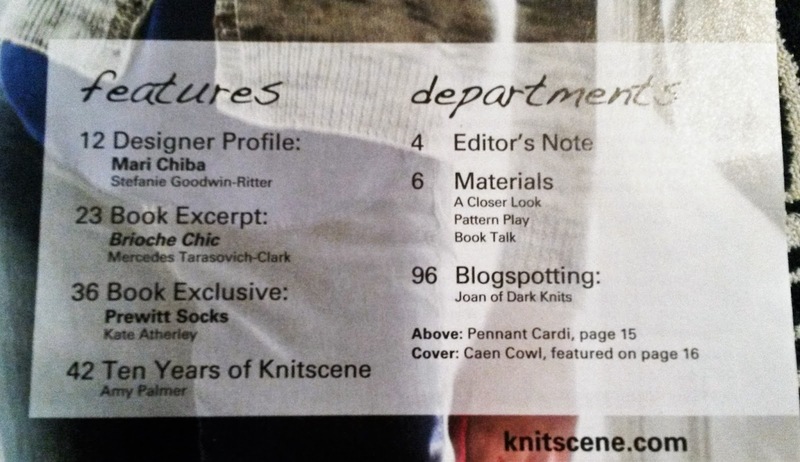 And so there it is, in the pages of KnitScene. Not lost at all! I love this sock, as it's a great way to introduce a bit of interesting colourwork into your knitting, without driving yourself insane. In my classes, I like to call slip-stitch colour knitting 'the cheater's Fair Isle', as you get the same effect, but with much less stress. You work with multiple colours, but only one at a time. Love it. 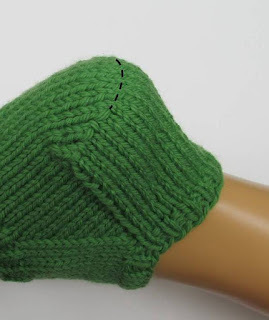 And this pattern stitch is one of the easiest you can do. I like the faux-plaid effect. File under that rare but important category of "manly-but-not-boring". 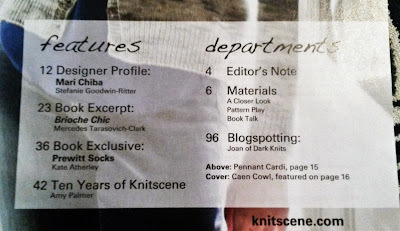 This issue of KnitScene introduces a new column: Pattern Play. And guess who's writing it?! 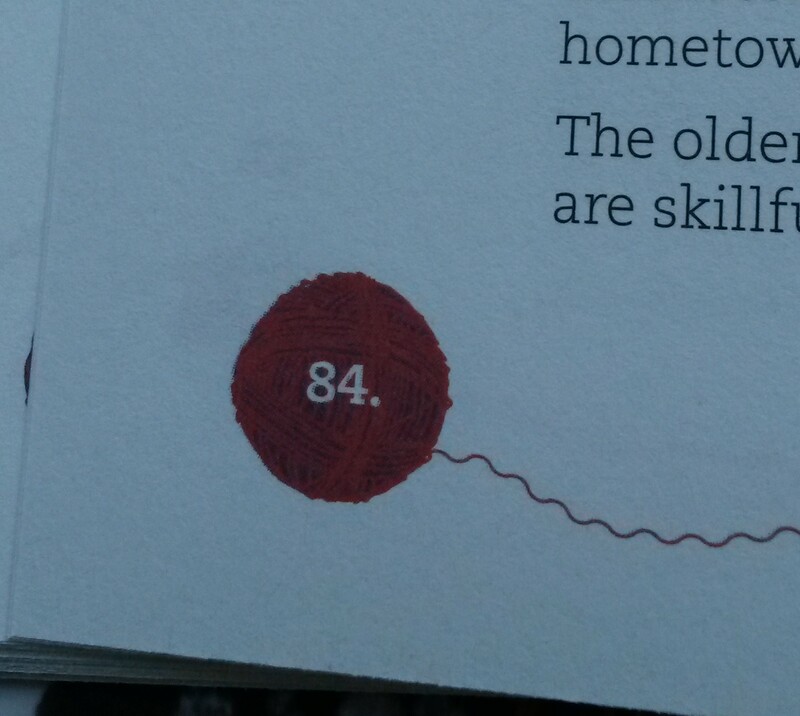 As a teacher, I know that one of the biggest challenges knitters have with patterns is in reading them. 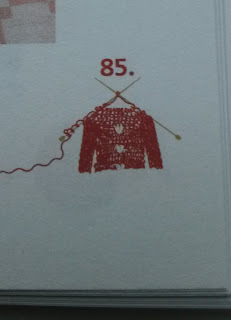 Knitting patterns are written in their own (sometimes arcane and mysterious) language, using strange notations and abbreviations. 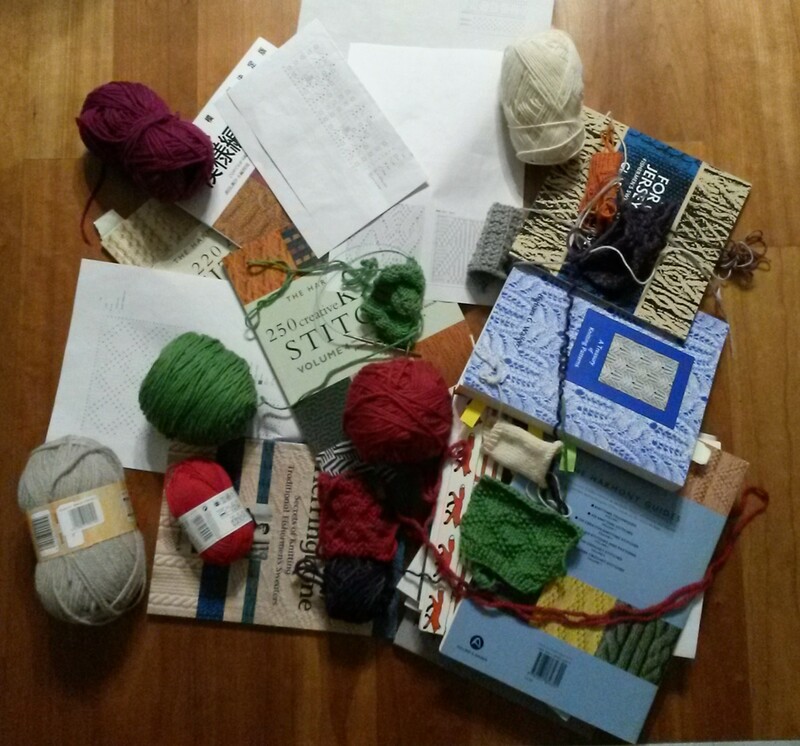 Learning to knit is one thing - a thing for which there are classes and books and all sorts of online resources. But reading patterns is an entirely different skill. And it's a skill for which there are relatively few resources. This column aims to rectify that. In the first one, I talk about how to read the yarn information in pattern to make sure you're buying the right type and quantity of yarn for your project. In future issues I'll explain what the fuss is about gauge and what it actually means; I'll explain common pattern writing conventions, how to read schematics and charts and all sorts of goodness. I hope that knitters find it helpful! If there's a topic you'd like me to cover, let me know! I spent a lovely time this week setting up the sock projects from the book on Ravelry. It was nice to be able to see them all again, and to be able to make them 'official', y'know? There's a mix of easy-going and spicy, there's some lace and cables and colourwork. Some are top down, some are toe-up, and some go both ways. I'm open-minded. 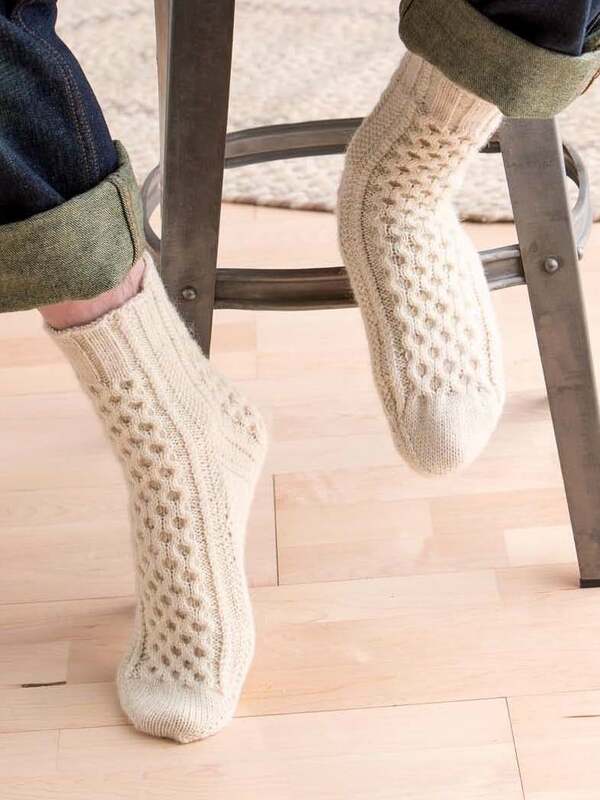 Knit socks however you want. Carpita. Very easy colourwork, I promise! Harcourt - the pattern offers both top down and toe up versions. Lindisfarne. Toe up. Yeah, I know, you don't like doing colourwork. I don't care. This one is totally worth it. Man of Aran. Both top down and toe-up. Go whichever way you want! Marpleridge. Simple but not boring. A good texture sock; both top down and toe up versions. Oh, Valencia! Top down, Estonian Lace. Secrets & Lies. Cables & Lace. Merino & Cashmere. Wellesley. Top down and toe up. Cable left and cable right. Go your own way. Wellington Road. Top down, left and right cables. Jarvis. Toe up. Clever lace. I've been a fan of Susan Crawford's work for many years. After reading about it, I tracked down an early edition of her legendary first book, A Stitch In Time, and devoured every page, reading it like a novel. Susan isn't just a designer: she's a knitting historian and anthropologist. 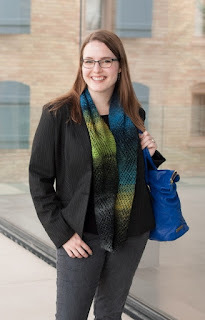 Her specialty is updating, modernizing, translating, adapting vintage designs for modern knitters. There are two volumes in the Stitch in Time series, and they are both absolutely wonderful. If you're interested in the history of fashion and knitting, then they are must-haves. 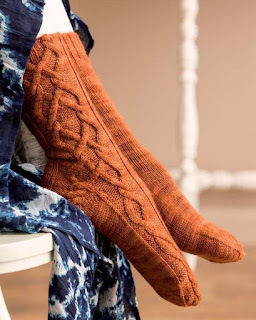 Susan takes original vintage designs and creates modern patterns for them, with updated yarn and patterns, while still utterly honouring the original concepts and designs. The first volume covers 1920-1949, and the second book has designs from 1930 to 1959. But Susan's latest project is even more exciting. 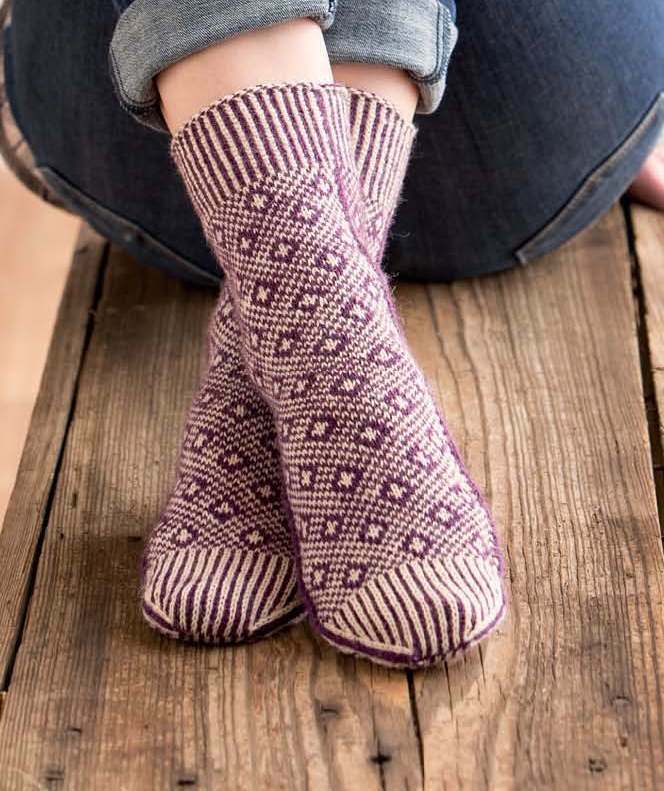 The Vintage Shetland project isn't just about patterns: it's about knitted pieces. 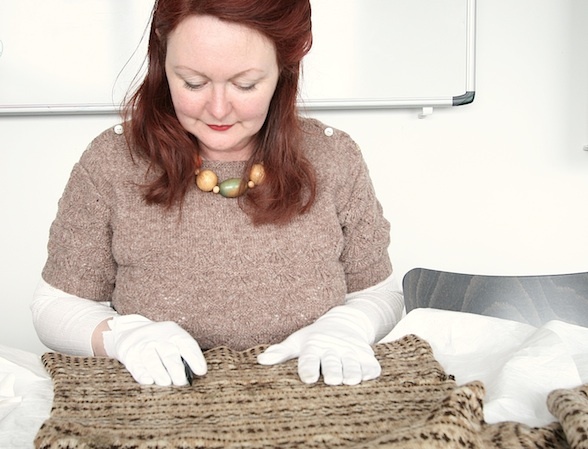 With the help and support of Carol Christiansen, textile curator at the Shetland Museum, Susan has researched 25 hand-knitted garments and accessories from the 20th Century which are held in the Museum's archives. Susan has studied the pieces in detail, recording their construction stitch for stitch then creating patterns from them. The patterns are all fully modernized, with multiple sizes, detailed instructions and technical advice and illustrated with beautiful colour photography shot in Shetland. I'd be keen to see this project published regardless, but I'm even more keen because I'm involved. Susan has enlisted me to be the technical editor on the project, and I'm honoured to be part of it. I recently had a chance to chat with Susan about some of the technical aspects of this project. KATE: Did you have patterns for any of the pieces, or were you working only from actual completed samples? Would the knitters have been working from patterns, or not, do you think? SUSAN: I worked directly from the pieces themselves in all cases, reading each item stitch by stitch, row by row. It was a time consuming process but revealed a lot about each of the items as I studied them. Shetland knitters tended to work from their own hand drawn charts. Many knitters would have had the same charts as each other but as a rule each knitter created their own book of hand drawn motifs to work from. However as the items I have chosen reach the late 1950s/early 1960s I believe there are one or two of the pieces which may potentially have been adapted from commercial patterns. Many of the garments are ‘variations' on standard stitch patterns. For example there is a beautiful sleeveless evening top in a laceweight wool with delicate beading around the neck which uses a slightly adapted version of the ‘Print of the Wave’ pattern. Another garment uses the ‘Fan and Feather’ stitch pattern as the basis for a very stylish and fashion conscious sweater. KATE: Did you encounter any techniques or technical solutions that were puzzling? Did anything you find in the techniques or constructions surprise you? SUSAN: Oh yes, several. From a beret made using a combination of vertical fair isle strips interlinked by horizontal shaped stocking sections to set-in sleeves with apparently no shaping, there were many technical puzzles that I found myself needing to unravel. The ingenuity and lack of conformity to the ‘standards’ we have retrospectively applied to Fair Isle techniques greatly surprised but also delighted me. It was very exciting to be allowed ‘behind the scenes’ of Fair Isle as it was developing and evolving. Many of the pieces used motifs that did not divide into the same number. For example one garment used a 34 stitch main motif, a 16 stitch peerie motif and a 7 stitch peerie motif. It was a real challenge to decide how best to approach this type of problem. 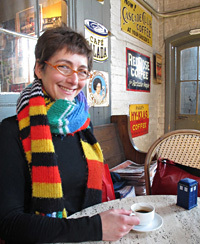 Susan at work; image copyright Susan Crawford. KATE: What’s the process/what are the challenges in writing a pattern from a sample? SUSAN: The process all took place at the Shetland Museum archive building a little way outside Lerwick (ed: the capital of Shetland). Gavin (ed: Susan's partner) and I would go and set up for the day with laptop, magnifier, shade cards, notepad, tape measure etc. I would make a brief sketch of the piece, a description and any particular design features, take its overall measurements, then note which colours had been used and cross reference the colours to our single digit alpha-numeric code. Gavin would set up a file on the computer and usually starting bottom right, away we would go... me reading out the code, Gavin recording it on the laptop: Motif A, Row 1: 1, 1, 1, 2, 2, 1, 1, 1, 2, centre; Row 2: 1, 1, 2, 2, 2, 2, 1, 2, 2, centre. And so it would continue, slowly building a text version of each motif or pattern repeat of the piece, with each item usually taking several hours to complete. Away from the archive this code was then run through Gavin’s ‘Fair Isle Decoder’ programme. This incredible programme written by Gavin, converts our code directly into Fair Isle motifs. This of course is really just the start of the pattern writing process itself. I would now set about ‘rebuilding’ the garment from the measurements, recorded tension and the recreated motifs or stitch patterns. 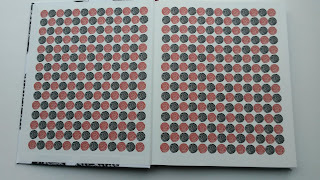 From this I would then set about ‘grading’ the pattern and creating a multi-sized version of each piece. The real challenges came from the non-standard nature of the original pieces. Highly unusual and inventive construction methods often paired with motifs that didn’t work together mathematically often didn’t lend themselves easily to multi-sizing but over a long period of time I gradually with the help of knowledgeable designer friends and amazing tech editors like Kate (ed: I'm blushing! ), I began to produce well-crafted, coherent and intelligent patterns for knitters to use. KATE: Are there any techniques/elements of the construction that you have chosen to update/”modernize”, or are you sticking pretty close to the samples? SUSAN: My original plan and aim was to recreate the samples as closely to the originals from the museum as possible. It was very important to me that the recreations are as much like the pieces in the archive as they possible can be. ‘Modernizing’ in particular was not something I was looking to do. However, certain pieces had been knitted using very unique and non-transferable methods. What I mean by this is they used methods that didn’t lend themselves to being used in a pattern for other knitters to knit from. An example of this is a sweater from the 1940s which incorporated set-in sleeves and high set puffed sleeve heads. To achieve this, rather than work shaping at either side of the armhole steek, the knitter had knitted straight up to the shoulder line, joined the front and back shoulder stitches and then cut the shape of the set-in armhole that she required and then did the same with the sleeves. Imagine suggesting to anyone trying to knit this beautiful sweater from my book that they should simply cut the shape they think they are going to need out of the sides of their lovingly knitted sweater! (ed: indeed!!!!!!) So on occasions such as this, I have imposed standard construction methods to make the knitting process easier. Susan has launched a PubSlush fundraiser for the project. Having recently self-published a book, I think something like this is a smart way to launch a book project: it's a way to fund the work and the printing, and gather preorders. This book has required a significant up front investment, too, in terms of travel and time. If you want to get your hands on a digital or physical copy of the book, or even just one or two of Susan's beautiful patterns, you can do that here. For the list of stops on the blog tour, visit Susan's blog. She's spoken about many different aspects of the project on different blogs and podcasts. I've thoroughly enjoyed following along. News is spreading of the first copies of my book arriving, to those who placed their preorders. I'll confess to being nervous. I'm happy with it, and pleased to have been able to share my research and knowledge and opinions and ideas... but I don't yet know if what I'm saying makes sense to my readers. Is the information useful? Informative? Is it presented in such a way that it makes sense? I was very pleased to see my first "review" yesterday, in the form of a "live-tweeting" of a reading of the book, from CountingKat. In order, both the good and the bad. 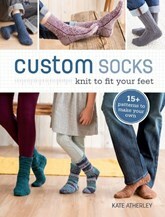 All right tweeps, I have devoured chapters 1-3 & 5 of #CustomSocks. My font complaints aside, the book layout is brilliant. I'm definitely not going to be carting #CustomSocks with me like I do my sock knitting, but I'm going to revisit it after every sock swatch! @kateatherley it's a wonderful book - the design case studies are especially helpful for thinking through modifying other patterns! I'm happy with this! (Plus bonus kitten pictures.) Thanks for the feedback, Kat. Genuinely appreciate hearing both the pros and the cons. I am not a font geek, that's very true. I clearly need to learn more about. Somewhat related: have you filled in my hand size survey yet? My very good friends at Shall We Knit are throwing me a Launch Party, Saturday August 22nd, and I'm ridiculously excited about it. There's going to be a sock yarn swap, for remnants and orphans. There will be games and prizes and books to buy - which I will gratefully sign! - and the usual types of Shall We Knit shenanigans. But wait! There's more! Indigodragonfly's Kim and Ron will be there, getting up to their usual flavour of colourful fun, this time involving mason jars. I'll say this about Shall We Knit events: I'm never fully sure what to expect, but I know whatever it is, it's going to be an excellent time. Details here. Join us. You know you want to. I'm also teaching a couple of sock-related classes the following day: Two Socks Two Circulars. Because Second Sock Syndrome is a very real problem. And Sock Fit Master class: I'll show you how to take your measurements and tweak a sock pattern so it fits perfectly. Kim and Ron will also be running a full dye workshop that day. So even if you're not a sock knitter (But really, why aren't you a sock knitter? Sock knitting is fun and cool.) there's fun to be had. First up, the first weekend of September, is the Yarn in the City event, in London. It's part of a larger event, the third annual Yarn in the City London yarn shop crawl. This year in addition to that event, the organizers have added a pop-up marketplace with lots of wonderful vendors, an indie designer showcase, and classes. With me! I'm teaching two half-day sessions, Introduction to Design and Pattern Writing. You can take both, or just one, depending on your interests and level. The classes are selling fast. The Thursday before that, September 3rd, I'm taking a trip down to Bath to teach at A Yarn Story. I'll be teaching my Math(s) for Knitters class. This class is aimed at knitters who are confident (or getting there) with their needles and yarn, but less confident about dealing with patterns and gauge and all the tricky numbers issues that come up when working on a project. More details and registration here. The second is closer to home for me. Very close to home, in fact. 11 miles from where I was born. February 28 and 29th 2016 in Manchester, UK, I'm at the inaugural "Joeli's Kitchen Retreat". I'm teaching Introduction to Design and my Sizing and Fit classes. More info and registration here. Move fast, as of this morning there were only 8 places left. But all that aside, even if the events were in a part of the world I didn't know and love, I'd be just as thrilled to go. I'm going to get chance to meet so many of my knitting friends and colleagues and family. Through my tech editing work at Knitty, through my Pattern Writing book, through other book and magazine work, I've got to know a lot of people virtually, and I'm hugely excited about meeting them in person. "A master class on everything sock"
Travelling Through Time and Space? I'm a teacher, technical editor, designer and writer, based in Toronto. My first book "Beyond Knit and Purl" has been praised for its fresh approach to teaching knitting. 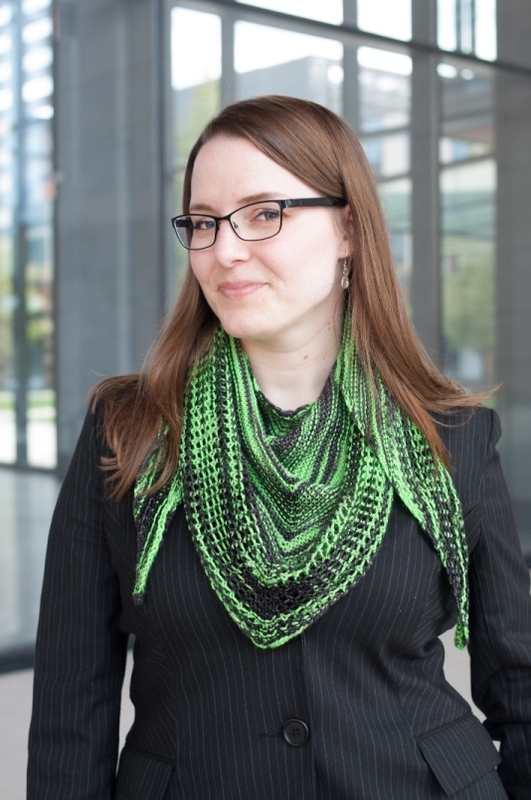 My latest book, "Pattern Writing for Knit Designers" has been called a "game-changer". I'm Lead Technical Editor for Knitty. I'm known for my "small start" approach to teaching sock and mitten knitting. I have opinions, mad math skills and an unfeasibly large stash of sock yarn.